One crypto token on two different blockchains? 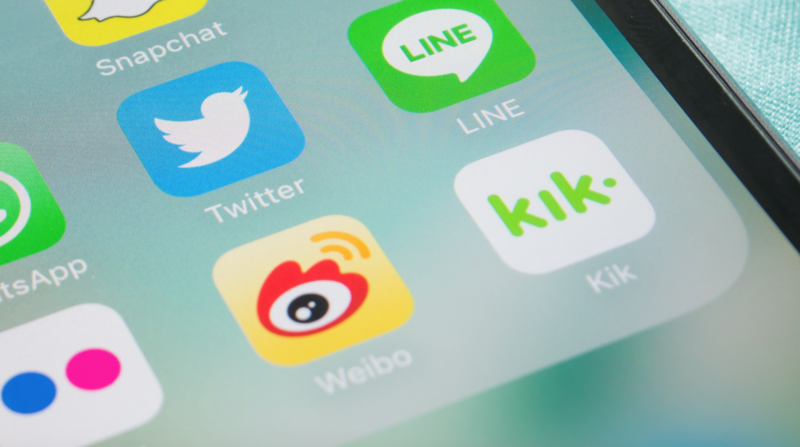 While it might sound unlikely, social messaging app Kik has announced it’ll be doing just that with its “kin” token, which allowed the company to raise $98 million in an initial coin offering (ICO) in September. After some back and forth about which blockchain the company wanted to host its crypto token on, Kik has decided to use ethereum (on which the tokens were first launched) for liquidity and stellar for transactions. At the time, Kik CEO Ted Livingston referred to the ethereum as “the dial-up era of blockchain,” but today the company has pulled back a bit from its complaints about the second largest blockchain by market capitalization. As such, users can imagine their kin token being split into two equal parts – one that runs on stellar and one that runs on ethereum. Using atomic swaps, an in-progress technology that allows cryptocurrencies to be traded across blockchains, the company will lock up a kin token’s stellar half when its ERC-20 (the ethereum standard for crypto tokens) half leaves the app, and vice versa. “Creating a bi-directional blockchain with stellar will drive mass adoption of kin by providing faster confirmation times, low transaction fees and scalability,” Livingston said in a press release. For Kik, the crypto token is about allowing users of its platform to purchase digital goods and in the future, even physical goods more easily, and according to many industry stakeholders, the launch of kin will be an early test of whether this pans out. “Users that have a medium of exchange do have a better user experience overall,” Tanner Philp, director of corporate development at Kik, said. To make this two blockchain system work, Kik is employing atomic swaps, a technology that’s been a hot topic this year as developers look for ways to make it easier for users to trade tokens across blockchains. The technology involves basically locking tokens on one network and creating tokens on the other. As such, every ERC-20 kin token – the total supply is 10 trillion tokens – that Kik created in its ICO will have a corresponding stellar token. If some of those ERC-20 kin tokens never make it to the Kin app, the equivalent amount of stellar kin tokens will never be unlocked, either. In that way, the new stellar tokens should not have an effect on kin’s price. Yet, committed to using whichever blockchain is the best, Philp said, kin could be moved fully back onto the ethereum blockchain should the protocol scale up. But at this point, according to McCaleb, the stellar protocol was specifically designed to represent non-native assets and conduct exchanges with other protocols, “so it is super fast and efficient.” Plus, stellar is in the middle of implementing Lightning Network, which moves transactions into payment channels off-chain and is touted as a way to scale blockchains without increasing the burden or fees. Yet, both Philp and McCaleb said current demand for kin transactions – a report from January showed that 18,000 crypto transactions were made (either through earning kin through surveys or spending it on sticker packs) during the initial product tests – should be no problem for Stellar to handle as it’s built today. As mentioned, currently select Kik users can earn and spend kin tokens, the latter only on sticker packs or digital art that people can use within chats, so far. But Kik expects more digital and even physical content will be available in the future. For instance, eventually, there could be games, private chats and/or collectable digital art (along the lines of CryptoKitties). And on the physical goods side, sunglasses manufacturer Shivas announced in February that it would accept kin as payment. Although, scaling challenges have prevented Kik itself from developing more complex applications for the token so far. While Kik’s crypto token wallet is available for use, it doesn’t activate beyond a preview until kin is loaded into it for the first time. According to Philp, the company has opted not to draw too much attention to the new feature as it works through technical limitations. Kik has committed to complete integration by the second or third quarter of 2018, which will take place in two phases. First, 900 billion stellar-based kin tokens will go live that Kik users can earn and spend, then during the second phase, users will be able to move those stellar kin tokens off the Kik app to create ERC-20 kin tokens, which can be traded on secondary markets for other cryptocurrencies and crypto tokens.